Israeli security researcher Danor Cohen (An7i) discovered the WinRAR file extension spoofing vulnerability. 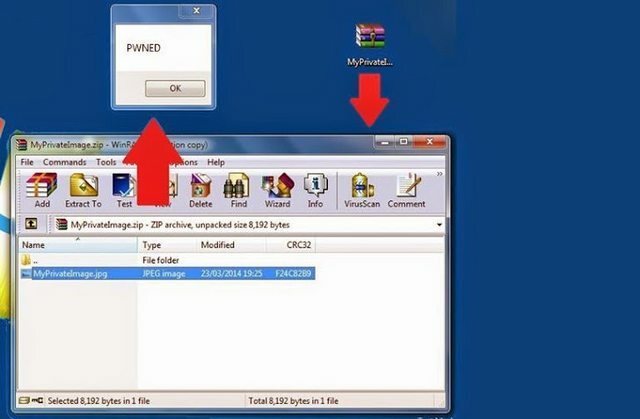 WinRAR file extension spoofing vulnerability allows hackers to modify the filename and extension inside the traditional file archive, that helps them to hide binary malicious code inside an archive, pretending itself as '.jpg' , '.txt' or any other format. 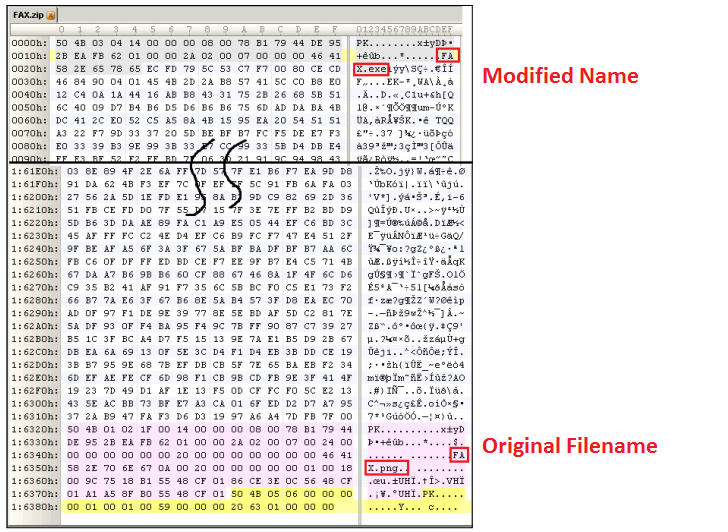 Using a Hex editor tool, he analysed a ZIP file and noticed that winrar tool also adds some custom properties to an archive, including two names - First name is the original filename (FAX.png) and second name is the filename (FAX.png) that will appear at the WINRAR GUI window. 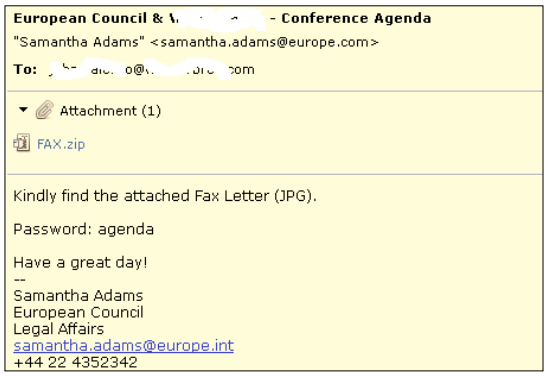 Danor manipulated the second filename and extension to prepare a special ZIP archive, that actually include a malware file "FAX.exe", but displaying itself as "FAX.png" to the user. Cyber intelligence company, IntelCrawler also published a report, which revealed that cybercriminals specialized in cyber espionage attacks are using this zero-day vulnerability in the wild to target several aerospace corporations, military subcontractors, embassies, as well as Fortune Global 500 companies. Using this technique, an attacker can drop any malware in very convincing manner to the victim's system. "Using this method the bad actors bypass some specific security measures including e-mail server’s antivirus systems" IntelCrawler said. Danor successfully exploited winrar version 4.20, and IntelCrawler confirmed that the vulnerability also works on all WinRar versions including v.5.1. In above example, the Malware archive file was password protected to avoid antivirus detection, used in an ongoing targeted cyber espionage campaign. Researchers found Zeus-like Trojan as an attachment, which has ability to establish remote administration channel with the infected victim, gather passwords and system information, then send the collected and stolen data to the Command & Control server hosted in Turkey (IP 185.9.159.211, Salay Telekomünikasyon).